Holland’s largest contiguous area with tulip fields is blooming near the village Anna Paulowna about 60 km north of Amsterdam. 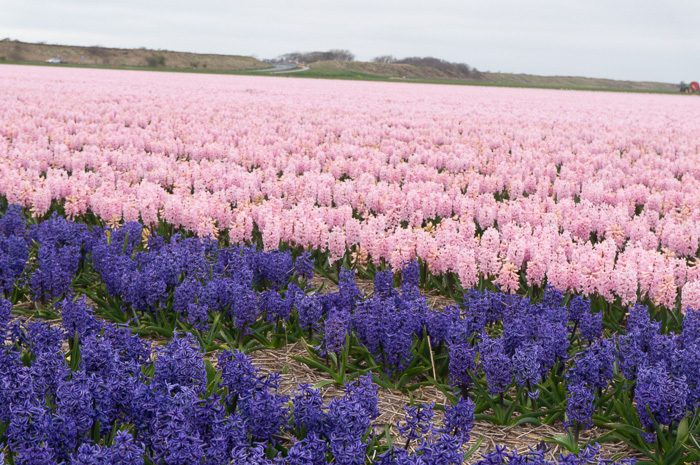 Here the smell of hyacinth fields is overwhelming. Right here Holland’s romantic heart beats. Feel it. Love is just a romance away. When we visited the tulip fields the weather was not so good. But under an overcast sky we took the magnificent pictures in the gallery right below. Yet, the flowering season had not reached the top mid April. So if you are in Holland in the end of April make a trip to Anna Paulowna. Follow the N 249 and about 15 km north of Alkmaar the Bulb-Region begins. The landscape is modern yet monumental with ancient farmhouses and Wind-Mills are scattered all over the place. On sundays in end of April and the beginning of May many landowners give access to the public to cross their fields on foot. Tours start between 7.30 a.m. and 2.00 p.m at Belkmerweg 65, 1753 GD Sint Maartenszee and Camping de Nollen, Westerweg 8, 1756 JD Callantsoog. You can make a trip of 30 km if you want. 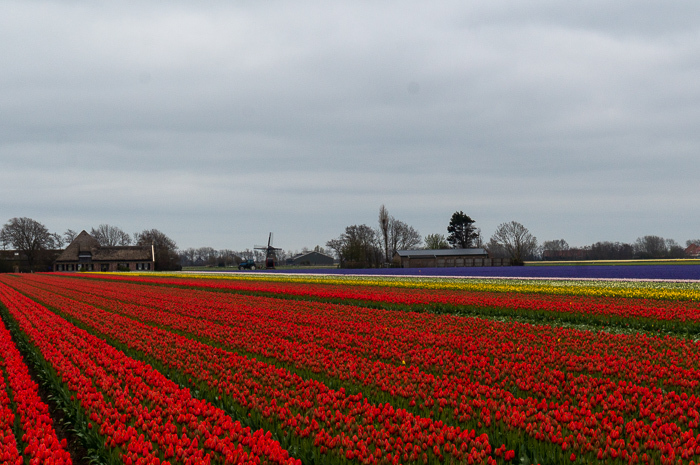 Depending on the weather dates may change here you find exact information about going across the tulip fields on foot. Take the train to the village Schagen. The direct train leaves from Amsterdam Central Railway Station from Platform 8a (10 and 40 minutes past the hour). 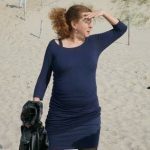 Once you get to Schagen you bike or walk in the direction op Stolpen and Sint Maartenszee. Believe me, you cannot miss the flower fields. Have a nice trip. Choose a sunny day. If you plan your trip well in advance and you organise an OV-Chipcard to travel with discount on Dutch public transport you can rent a bike at any railway station and take a late train back to your hotel in Amsterdam. If you want to escape the the hustle and hastiness of the Amsterdam you better stay in the heart of the flower region and book a hotel. 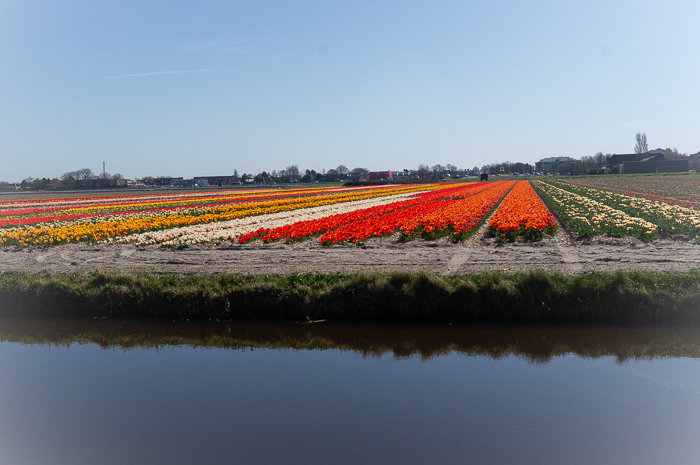 Top 5 things to do near the Dutch bulb fields of Zijpe. Visit the harbor city of Den Helder. Take the ferry in Den Helder and sail away on the Wadden Sea to the isle of Texel. Make a trip along the Waddensea. This sea is unique and Unesco World Heritage. Do not miss the Afsluitdijk, one of the most impressive Dutch Waterworks. 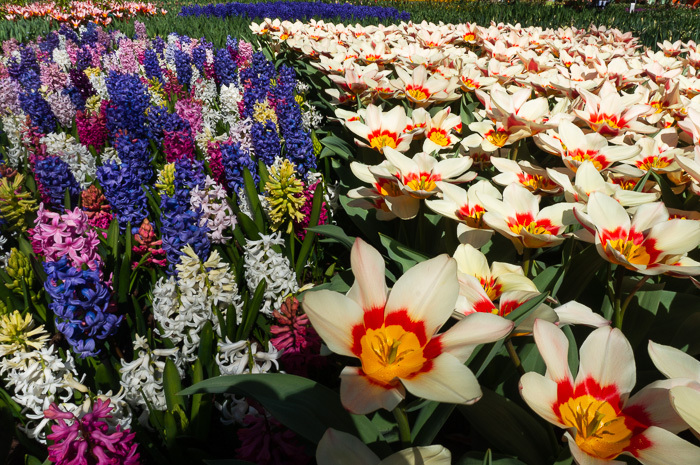 If you still want to smell more flowers then you should go where you can see the latest flower varieties from Dutch horticulture: The Keukenhof. This the most beautiful garden in the world between the 10th of April and the 10th of May. And yes indeed, it is. I made a selection of the five best flower fault Parades in Holland. The flower parades are in the Dutch countryside. The season starts in April when the tulips are blooming and ends in September. Enjoy.